North Orlando – Maitland Festival Continues! 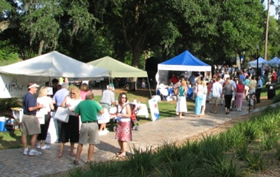 Another gorgeous day for the Maitland Chamber Spring Arts Festival. Our guests loved walking over there yesterday. Not too late to check it out! Other events are coming too. See them at our Thurston House Upcoming Events page.